Humans that are super-intelligent are coming. In case you missed it, Elon Musk is rather concerned about the fate of humanity, given the extreme advancements being made in artificial intelligence (AI). Ultimately, he fears that our AI will, one day, overtake us. When this happens, he claims that humans will likely become second class citizens (or slaves, or something even worse). Now, reports have surfaced which assert that he is backing a brain-computer interface venture that was founded to allow humans to keep up with the advancements made in machines. The interface is intended to work by augmenting that which makes us human: our brains. The find comes from The Wall Street Journal. According to them, the company – which is called Neuralink – is still in the earliest stages of development. To that end, it has no public presence at all. Unsurprisingly, Musk isn’t the only one worried about AI. In a video posted by Big Think, Michael Vassar, the chief science officer of MetaMed Research, stated that AI will likely kill us all (literally): “If greater-than-human artificial general intelligence is invented without due caution, it is all but certain that the human species will be extinct in very short order.” Essentially, he is warning that an unchecked AI could eradicate humanity in the future. To that end, Musk isn’t the only person working to ensure that humanity can keep up with AI. Braintree founder Bryan Johnson is investing $100 million to make a neuroprosthesis to unlock the power of the human brain and, ultimately, make our neural code programmable. Johnson is clear that his company, Kernel, will begin by researching the brain and figuring out exactly how it works. This research, Johnson states, is the first step in helping humans achieve permanent equality with machines. Of course, such technologies will do a lot more than just allow humans to interface with machines. Neuroprostheses could also repair our cognitive abilities – which will allow us to combat neurological diseases such as Alzheimer’s, ALS, Parkinson’s, and other conditions that destroy our brains…and our lives. In short, the devices under development work by replicating the way that our brain cells communicate with one another. The tech envisioned is based on 15 years of academic research that was funded by the NIH and DARPA. So get ready. 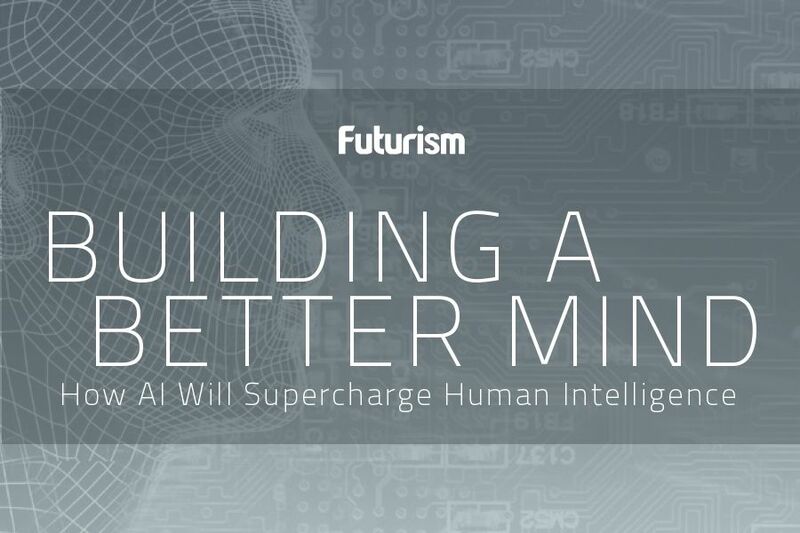 Human superintelligence is only a matter of time.